What do small ratepayers in Mississippi and the New Orleans Saints have in common? 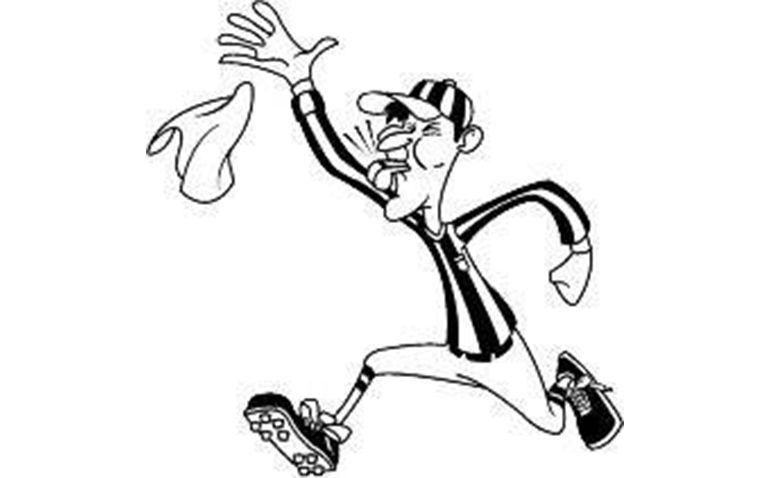 Bad officiating. Bad things often happen when politicians direct capital. This is about the PSC. It’s not doing its job. 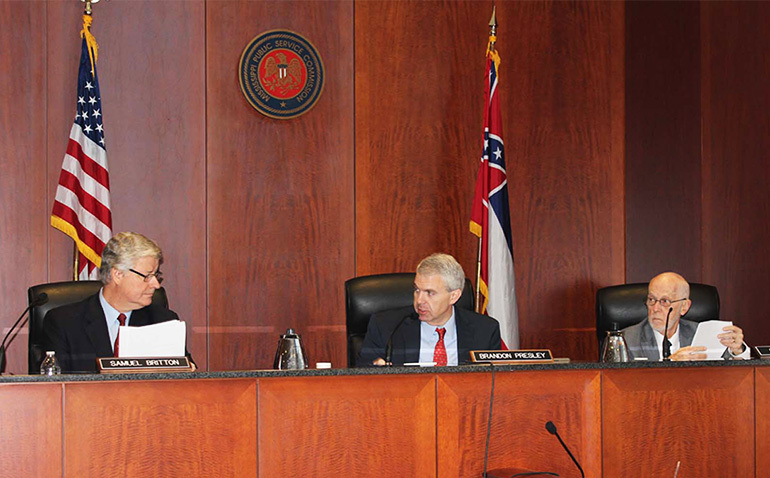 And about the Mississippi Legislature which makes the rules (laws) about how the PSC works – or doesn’t work. 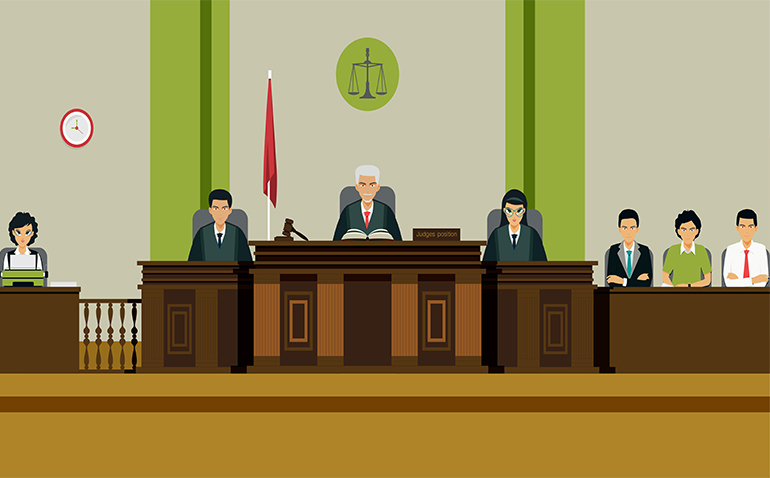 What if you went to court and were told your attorney would have to represent both you and your opponent – even though your opponent had a whole army of his own attorneys? That’s basically the setup for the state agency that regulates how much you pay for electricity and other utilities. 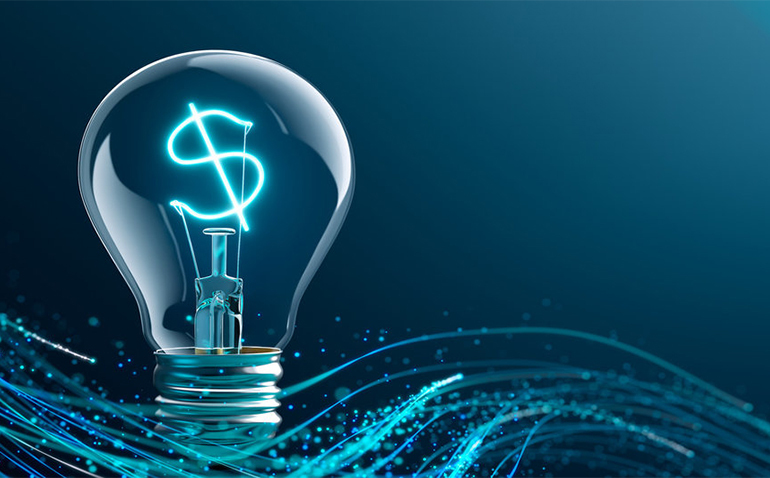 What you pay on your monthly electric bill is determined by who is your supplier. The only choice for the customer is to move to an area serviced by a provider with lower rates. Entergy doesn’t want the Commission to have discretion over whether documents are either revealed to all intervenors under protection of a non-disclosure agreement or simply put into the public debate arena. The Kemper Plant was designed to maximize capital investment so as to maximize the company’s rate of return on capital from ratepayers in the form of rate hikes. 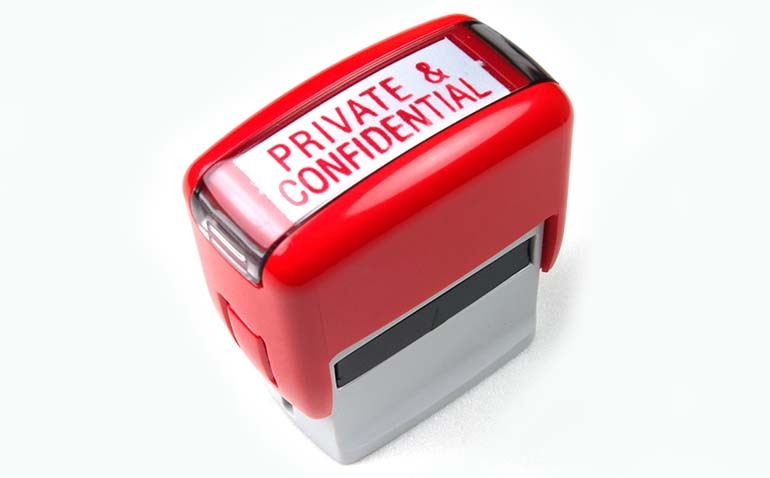 Confidentiality of certain key documents played a major role in the plant clearing several early regulatory hurdles. Changing the process by which documents are kept out of the public eye will be essential to preventing another Kemper like disaster from happening again. 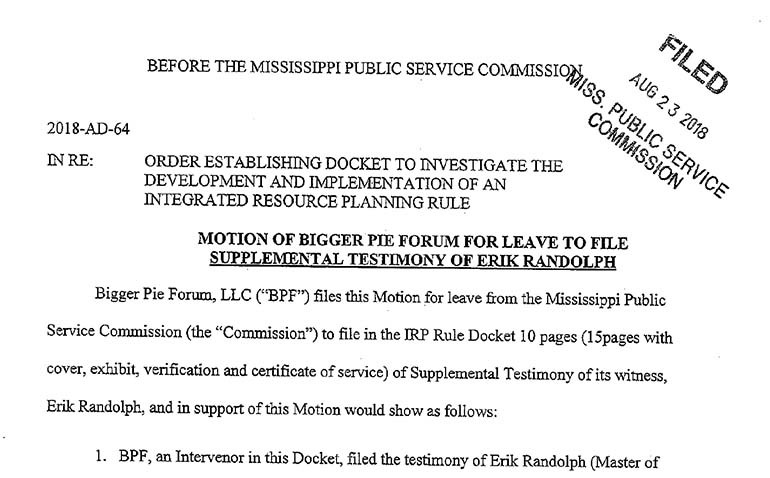 BPF’s Supplemental Testimony by Mr. Erik Randolph was filed with the PSC on August 23rd. 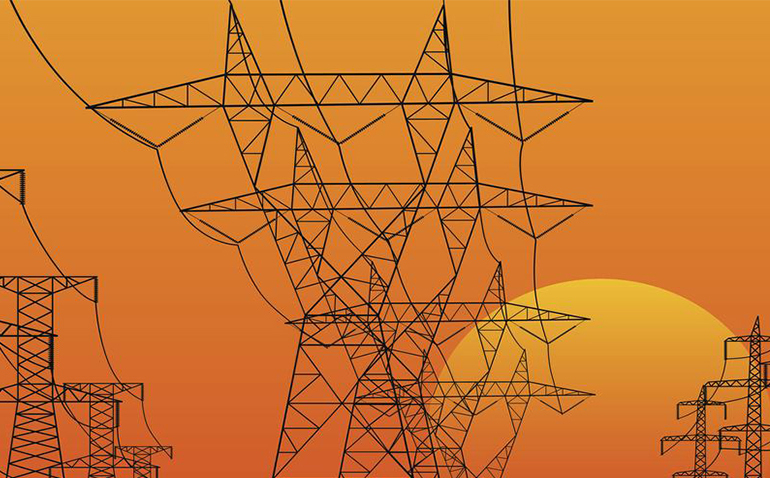 Will the PSC Implement an Integrated Resource Planning Process (IRP) for Electric Utilities? 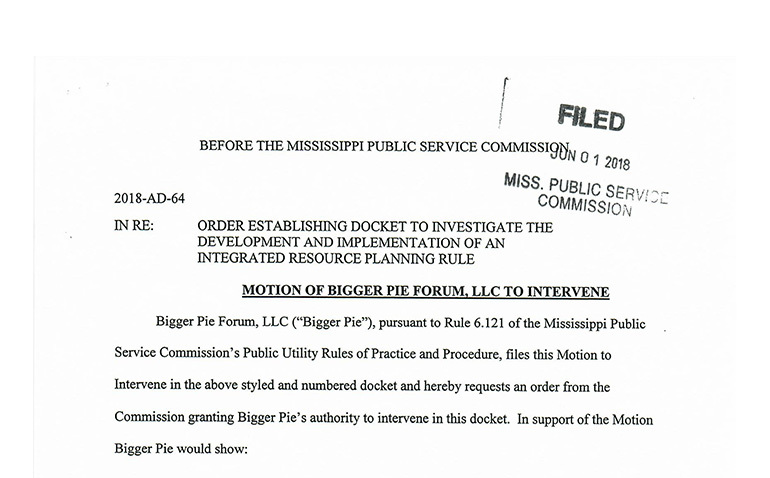 Bigger Pie Forum was approved Friday to participate in a docket with the Mississippi Public Service Commission that will decide how the commission reviews the future generation needs and capacity of the state’s two investor-owned utilities, Mississippi Power and Entergy. 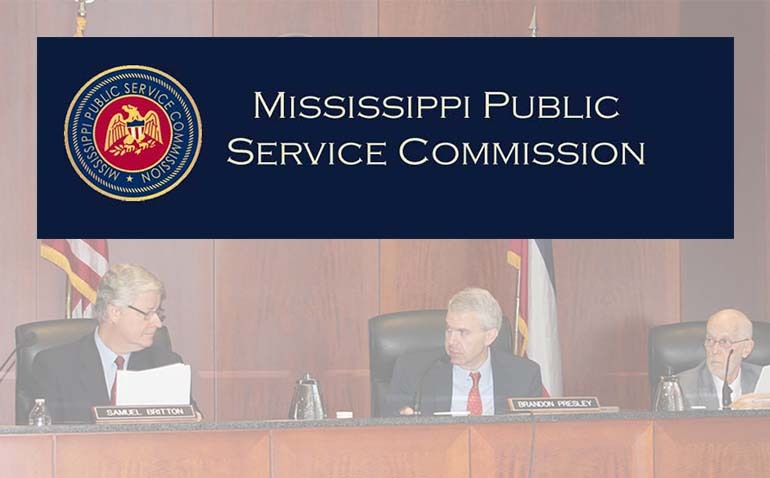 The PSC will now hire outside firms to audit Entergy and Mississippi Power whenever they come before the commission with a rate case to make sure the company is spending its money prudently on capital costs, salaries and other expenses. Bigger Pie Forum commissioned a study of the structure of PSCs around the country. 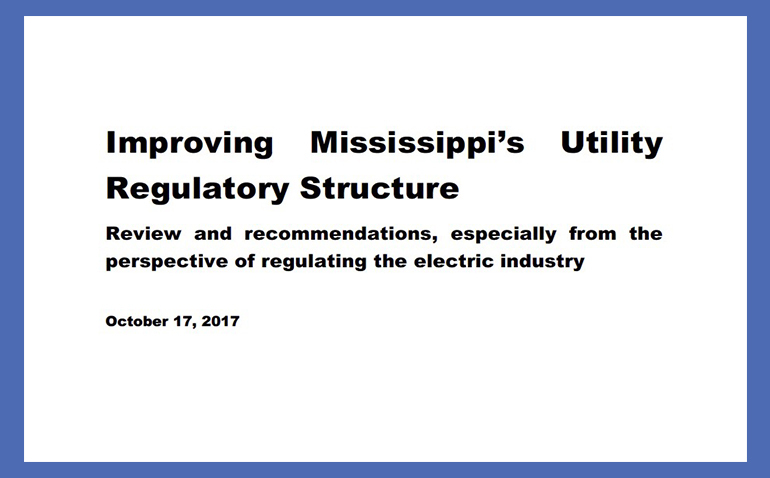 Among its many discoveries, the study found that Mississippi’s arrangement, which has an investigative staff that is a separate entity from the PSC, is unique among the states.